Hello. 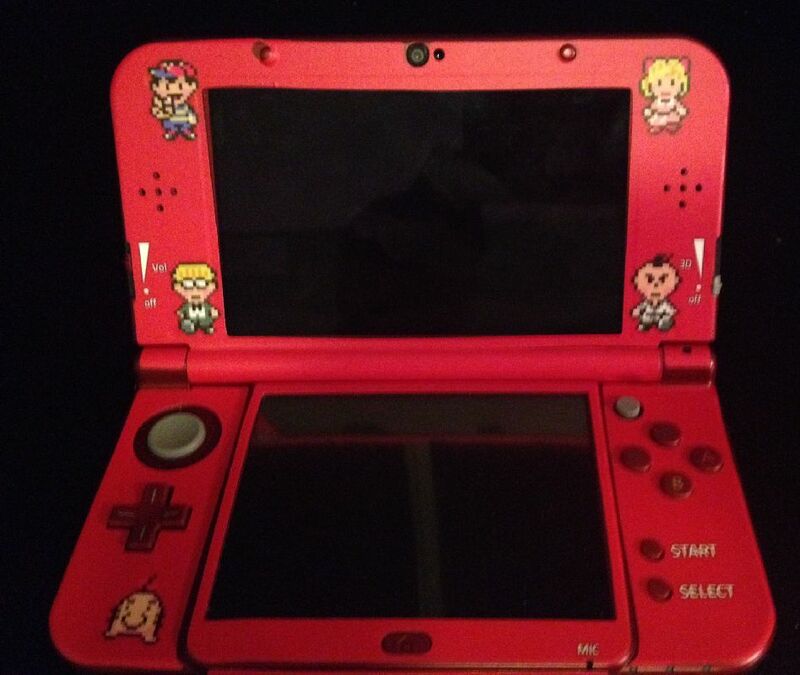 I would just like to submit a little decal I made for my ‘new’ 3DS using DecalGirl. You can make decals for a lot of other devices, too. 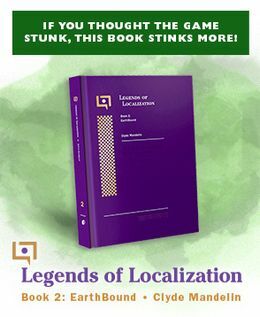 It is fairly cheap, so I recommend using it if you’re interested in making your own decal. I made mine EarthBound themed and even though it is quite simple, I’m very happy with it. You can have a look at all the images here. 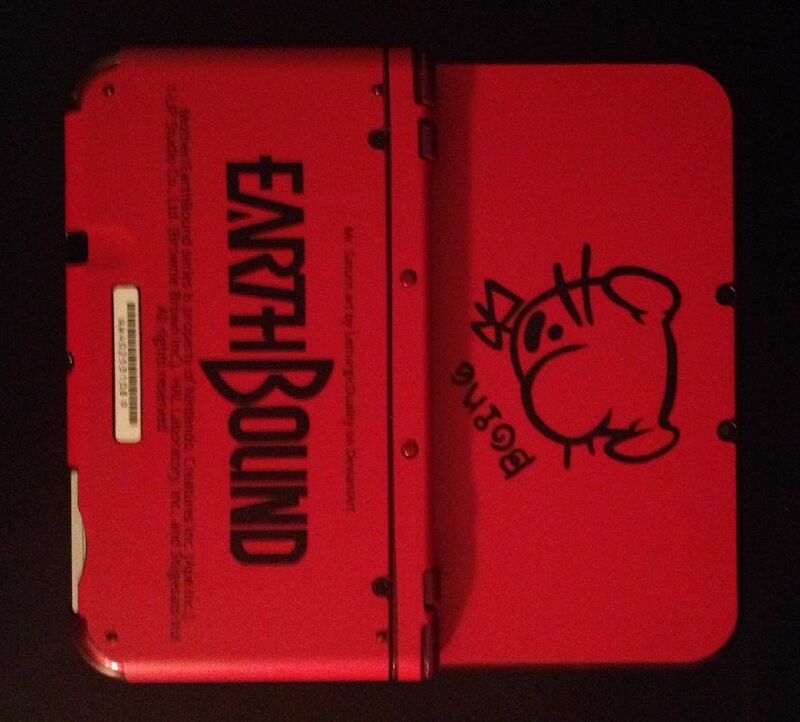 24 Comments to Make Custom EarthBound Decals for your 3DS! If anyone saw, I made a Mother 4 skin. Oh my gosh! I got featured! I honestly didn’t think I would. You would like to purchase my design? I’ll see if it is possible to share them. I kinda didn’t ask him if I could use it just for the fact that I didn’t think so many people would want one. @TGK Ty well hopefully you can share it and we can get that awesome decal! Well, looks like made has some work to do, after that Nintendo direct. GUYS VOTE FOR KUMATORA RIGHT NOW SO THE MOTHER SERIES WILL BE NOTICED WITH 3 REPS.
You can vote more than once. Vote for Masked Man too! Guys! Lucas is coming back to Smash! He’s on the official DLC list! GUYS LET EARTHBOUND BE NOTICED VOTE FOR PAULA, POO, CLAUS/MASKED MAN, DUSTER, AND KUMATORA. I’m gonna cut the off-topic comments combo here. Vote for more Earthbound characters in Smash! How about Ninten for the Smash ballot? I’d love to have all three Mother/Earthbound protagonists in one game! Who’s with me? I want this stuff! Now! SHUT UP AND TAKE MY MONEY! Im on the website Decalgirl.com which i know you made it on and im trying to make a mother 3 decal for my new 3ds yet im failing so hard on it!!! !